King Bhumibol Adulyadej died in October 2016 after governing Thailand during seven decades. 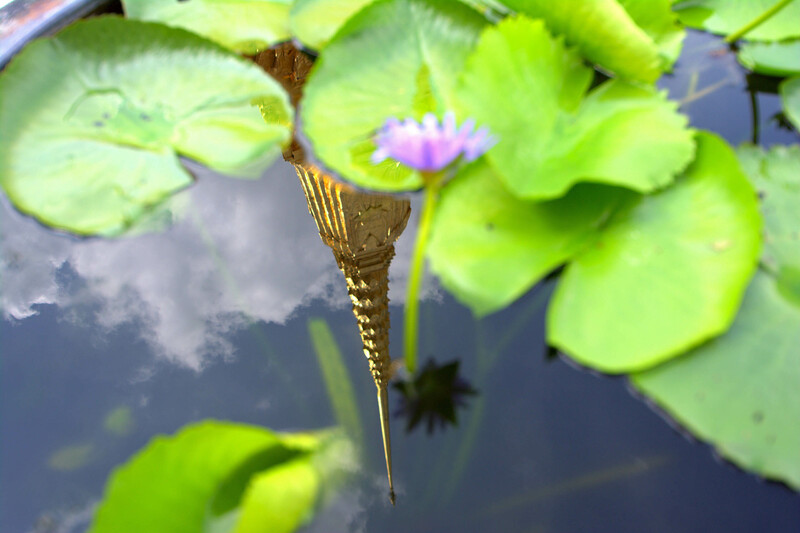 The icon of Thai’s royalty is the Grand Palace. Every king has built a temple to leave proof of their divinity. The mourning decreted for the king who survived 19 coup d’état lasts one year and the tradition says that all Thais must go to Bangkok at least once during that same year to pay homage. 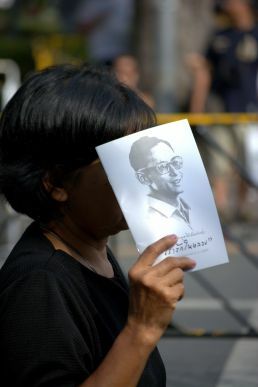 Thousands show up, dressed in black and carrying a portrait of the dead king. 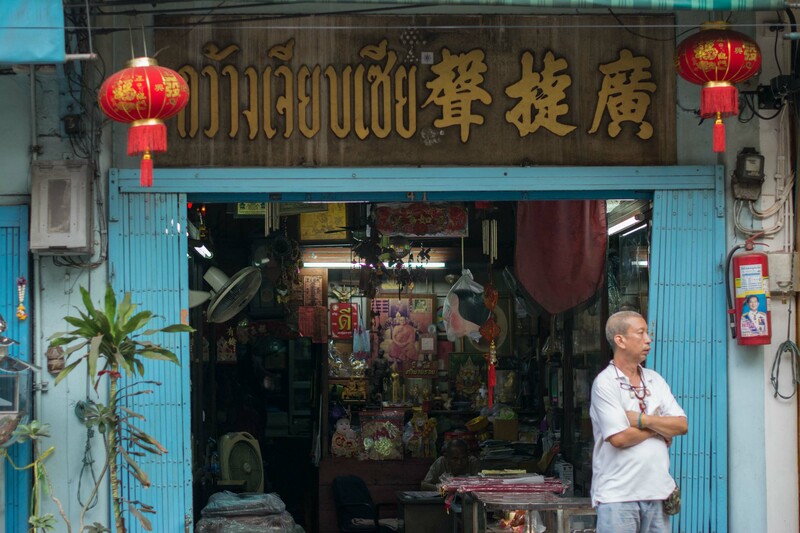 They surround the temples and gather in the arcades built around the sacred buildings crowded of tourists that ignore the sorrow of Thai people. The reflection of the Grand Palace in Bangkok, Thailand. Pau Riera. 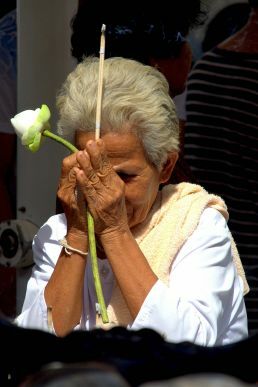 Praying woman in the Grand Palace, Bangkok. Pau Riera. A griefing woman in the Grand Palace, Bangkok. Pau Riera. 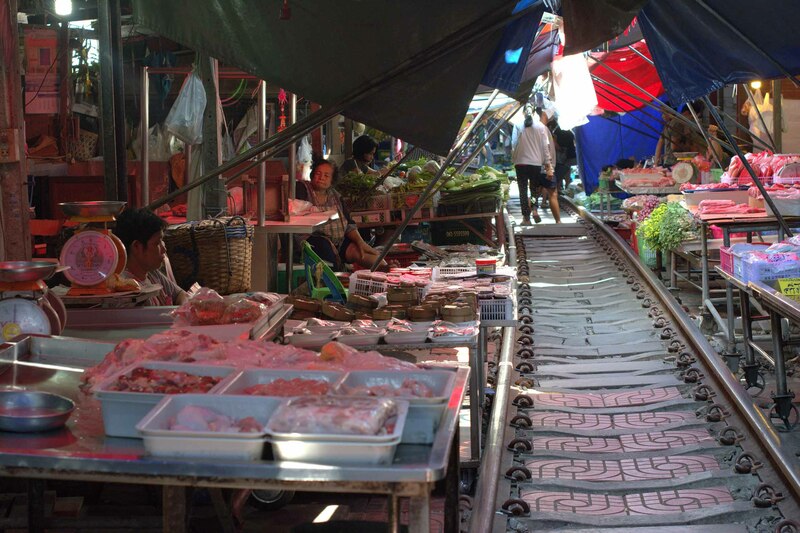 Legend says that the Maeklong market is the stubbornness of a small village of traders that didn’t want to change their life when a train line was built here in 1905. 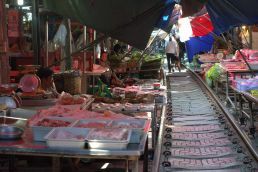 The result is that, around three or four times per day, when the train horn sounds, all the merchants roll up their stalls of fish, fly coated meat and colourful fruit to let the carriages pass, only a few centimetres from their tiny and fragile stalls. In a few seconds, the tunnel of smells and colours that would dizzy even the most steadfast fan of Vasili Kandinsky sees the sun come up as the tents leave room for a train that will never beat the decision of keeping up with tradition in this small town located north of Bangkok. 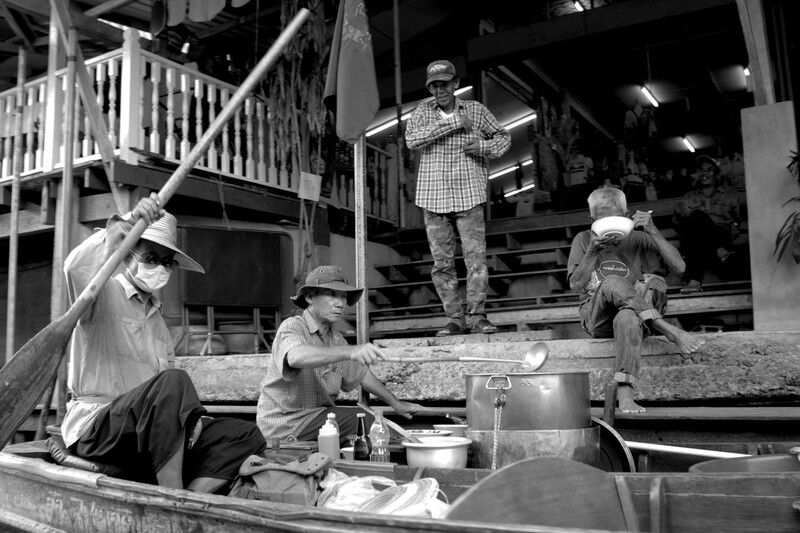 Traditionally, Chinatown imagery has been related to movement, racket and stress under control. This made visitors fall in love with the neighbourhood. The Chinese community in Bangkok is, nowadays, an ensemble of streets where you will find a chaos controlled by the most basic human needs. 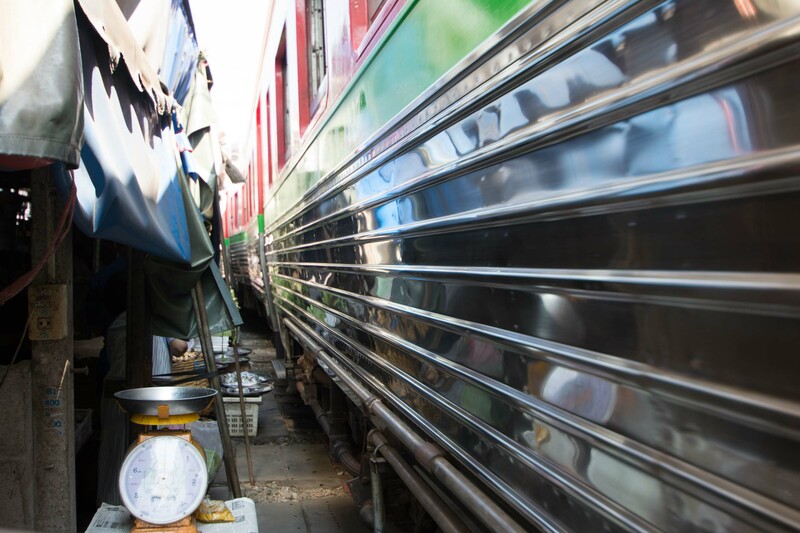 A few streets from the main roads filled with Tuk-Tuks, that try to earn a bonus thanks to a novel tourist in town, we can find small passages occupied with empty properties and messy stores. Food is served when there’s hunger. Sleep when there’s sleepiness. The biggest occupation of its inhabitants is the wait. The neighbour, mother of all, is always cooking in the streets surrounded by stools that wait for those who will stop waiting for some time. Taxi drivers with no clients o to tired of waiting to go find some. 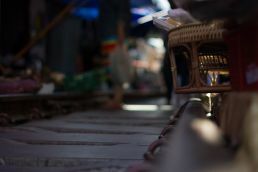 Merchants without hope to get some clients and street vendors that decided to abandon nomadism to seat on the floor and wait for the benefits of the commercial sedentary lifestyle. 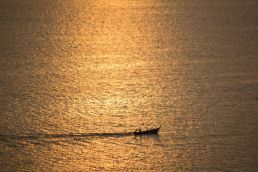 Beyond the tenths of existing Bangkoks, Thailand’s capital and one of the economic powerhouses of the continent shines for the contrasts that take place. 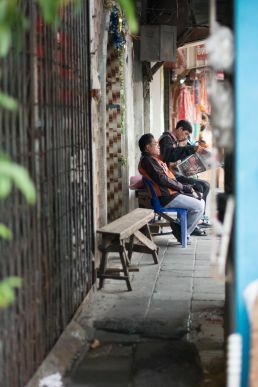 During daytime, the heat, humidity and rains of the moonsoon season force citizens to take shelter in calmness, fresh beverages and food corners socialization. The floating markets, for instance, gift us with scenes of cooks, sellers and clients sharing bowls of Pad Thai and crazy hot soups while they wait for the sun to come down. 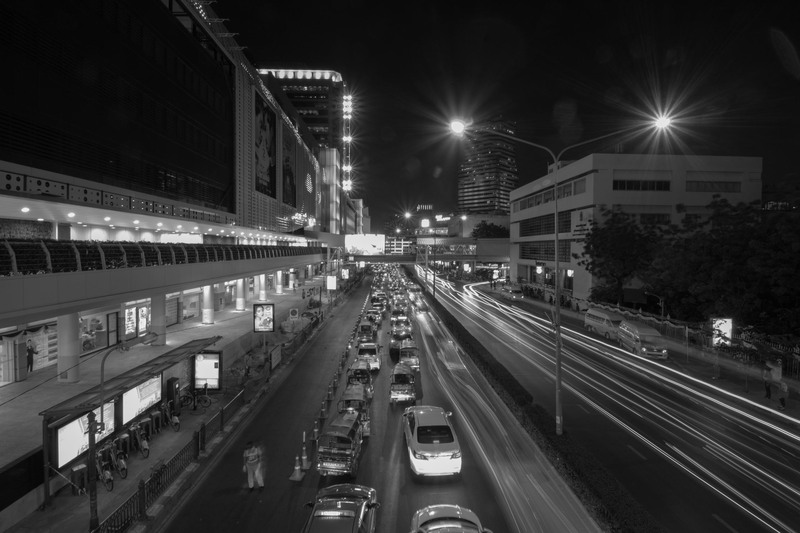 The art of doing nothing, though, disappears when dusk approaches and zones like the big malls in Ratchatewi and Pathum Wan become the neuralgic center of Thailand’s social life. Escaping heat by getting inside one of the big shopping centres with aircon is the local favourite pass time. 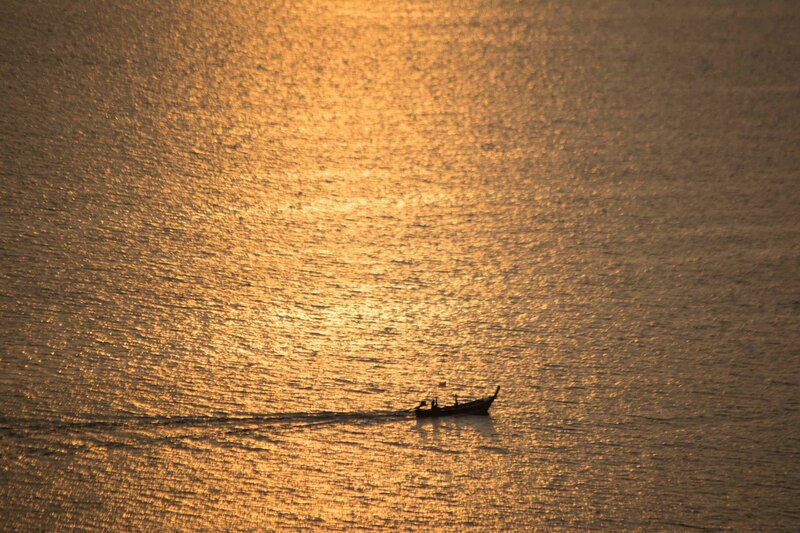 If Bangkok is synonym to large crowds, contrasts and pure movement, the south of the country means relax and sunsets. 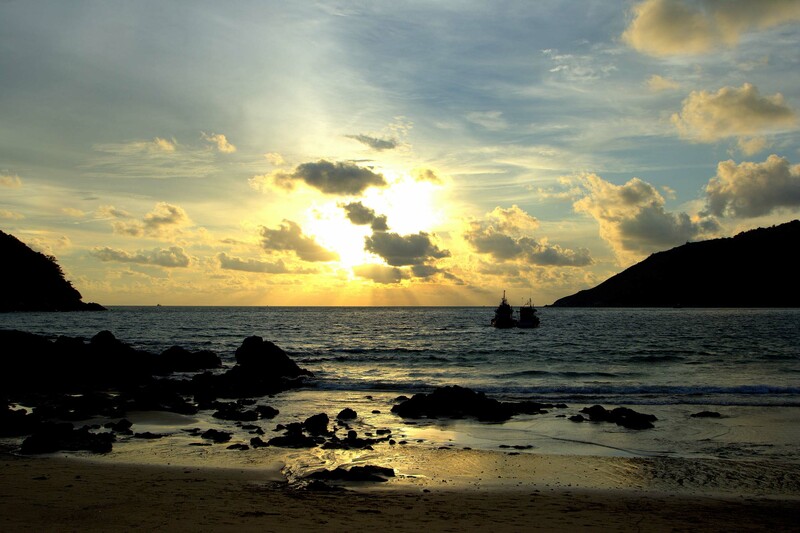 If your bussiness is chasing sunsets you should go to Phuket and Ao Nang. The steep coast hides spots that are still worth a Hollywood movie and that allow you to feel as an adventorous person because you’ve escaped the great cores conquered by parties and souvenirs. A motorbike is the best mean of transportation to explore roads without signs that will, luckily, bring you to a small deserted beach where the best way to spending a day is to wait for sunset. 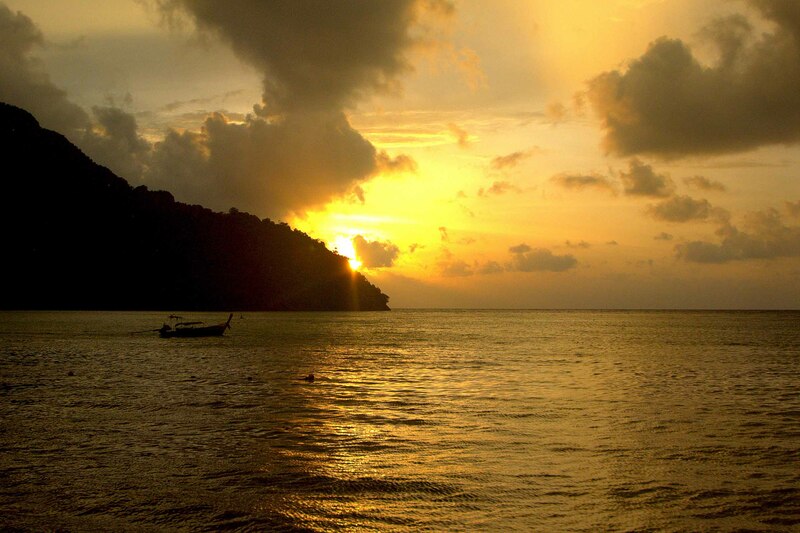 In the middle of those two peninsulas we find the Phi Phi’s, the duo of famous islands. A must visit for backpackers that miss those times they’ll never get again but deny to be another sheep in the flock and persist in the idea that Thailand is no longer an unexplored paradise. P.S. Thailand postcards: grief and hustle forms part of our larger series of short visual essays about different countries around the world. You can check more places here.